When we first moved to Devon finding things to do in the winter months was a bit of a conundrum. Many family attractions don’t open regularly until Easter, making the February half term particularly tricky. But a few years on we have been getting into our winter fun groove. Read on for our suggestions for things to do in Devon in February half term. NB. half term in Devon runs from Saturday 16 to Sunday 24 February 2019. If you’d like to find out what’s happening around the UK take a look at my UK half term activities round up. And if you’re longing for a last minute break then here’s some more half term holiday inspiration. 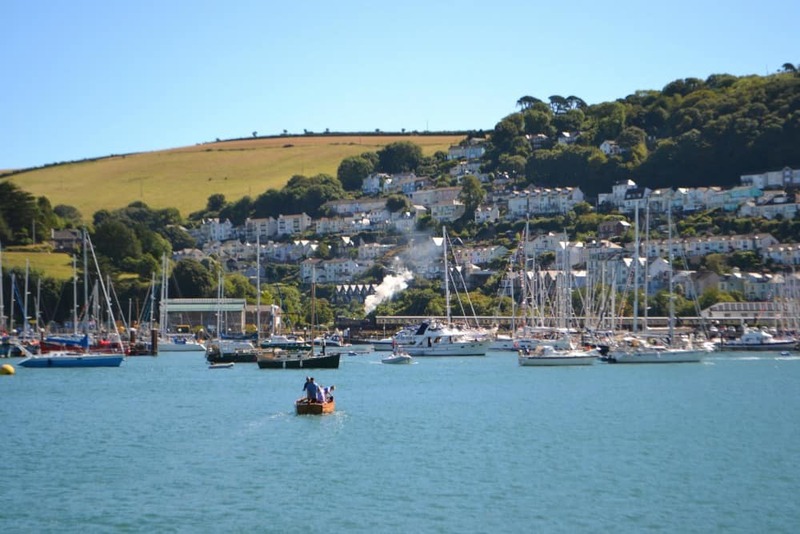 In South Devon, the Dartmouth Steam Railway starts running between Dartmouth and Paignton from February half term (just the train, not the Round Robin), as does South Devon Railway which travels between Totnes and Buckfastleigh. In North Devon, the Lynton & Barnstaple Railway will also be running trains along its one mile track. If you’d like a train themed day out, check out Pecorama at Beer in East Devon. If your kids enjoy thrill rides, massive indoor adventure play areas, slides and amusements then head to one of Devon’s theme parks at February half term. Most will be open for the Devon school holidays. Book your tickets online and you’ll probably find you can get a discount on entry. If the weather is bad we can recommend Crealy Theme Park, Woodlands Family Theme Park and The Milky Way as great places to go on a wet day in Devon. We love a beach walk whatever the time of year and it’s even better when we can bring Tin Box Dog – most Devon beaches allow dogs before Easter. Here’s some of our favourite South Devon beaches. If you’re looking for beaches on the North Devon coast I have some recommendations for you here. Dartmoor National Park is a wonderful place to explore on foot whatever the time of year but generally, you’ll find it less busy outside of the main holiday seasons. The highest point on Dartmoor rises more than 2,000ft above sea level so there’s a good chance you might see snow in February. If you are looking for things to do in Dartmoor in February half term we can recommend an easy walk to Haytor from the Dartmoor Visitor Centre, or a walk around the grounds and outdoor adventure play areas at River Dart Country Park near Ashburton. Seeking wet day fun over February half term? 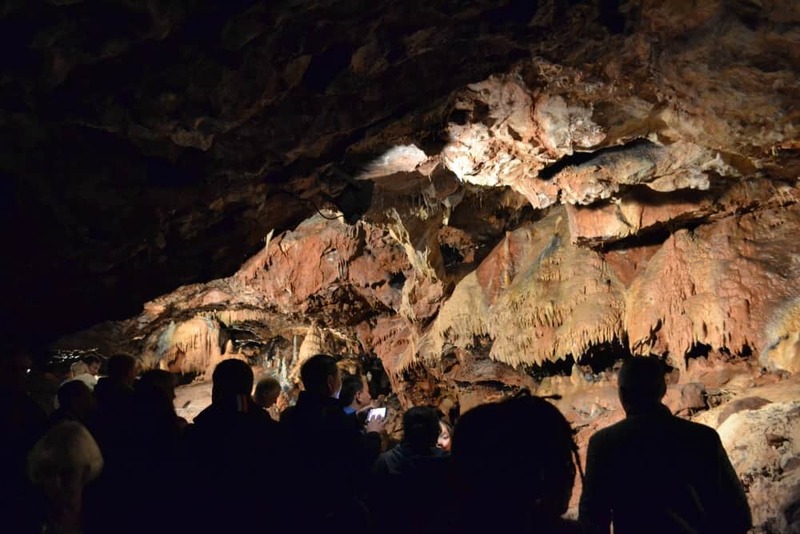 Visit Kents Cavern where there will be plenty of family activities happening over half term. Explore the ancient caves and find out all about the many people and animals that have sheltered here over the millennia. Devon has several zoos, aquariums and animal parks that are open all year round. Paignton Zoo is a full day out with elephants, apes and giraffes. You can also buy a combined ticket with the Living Coasts aquarium zoo in Torquay and get 25 percent off. Living Coasts is a great medium sized attraction with penguins, birds and seals. If you like aquariums than you’ll find the UK’s largest tank at the National Marine Aquarium in Plymouth. A smaller zoo that still has plenty to please animal lovers is Dartmoor Zoo, which inspired the movie ‘We Bought A Zoo’. And if you’re a fan of donkeys you will love The Donkey Sanctuary near Sidmouth. National Trust properties in Devon will have their doors, gardens and grounds open for exploring. Grab a kids activity trail, tick off some of the 50 things to do before you’re 11 ¾, and find adventure playgrounds nestled in the woods. Our favourite Devon National Trust properties are: Saltram near Plymouth; Killerton near Exeter; Coleton Fishacre near Brixham; Buckland Abbey on Dartmoor; and Greenway near Galmpton. Planning a trip to Devon in February? Why not pin this post about things to do in Devon at half term? !